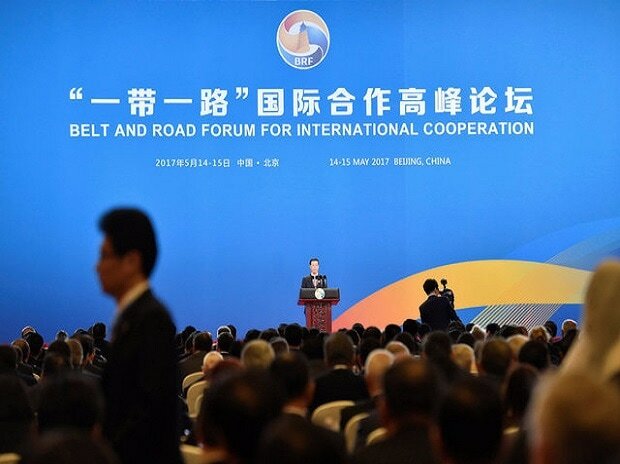 China will be holding the second Belt and Road Forum in April, which Chinese Foreign Minister Wang Yi stated would be bigger than the one held in 2017. Ahead of its planned second forum to promote its much-touted Belt and Road Initiative (BRI), China for the first time announced plans to seek global partners to join the project which drew criticism over its predatory loans leaving smaller countries in huge debt. India boycotted the first BRF meeting over its objections that the BRI flagship project, the China-Pakistan Economic Corridor (CPEC), traversed through Pakistan-occupied Kashmir (PoK). The second BRF meeting, in which China plans to rope in several heads of state and government around the world including Italy, is being held amid growing criticism from several countries, specially from the US and India, that the massive loans being doled out for different projects, specially in smaller countries over and above their capacity to pay, has resulted in long term indebtedness. It is also being held at a time when the Chinese economy is showing signs of slowdown, resulting in the government tightening its expenditure, specially investment finance. Chinese Premier Li Keqiang, who had lowered the GDP target to 6 per cent from 6.5 per cent for this year, had said that the government at all levels would have to make bold and courageous sacrifices, "turning the blade inward" and "cutting our own wrists". China last year grew at 6.6 per cent. "The China Investment Corporation (CIC), the country's USD 940 billion sovereign wealth investment fund, is seeking global partners to jointly establish a special cross-border investment instrument which will further finance the Belt and Road projects," said Tu Guangshao, vice-chairman and president of the CIC. "We call it the Belt and Road cooperation fund," Tu told the state-run China Daily. Other arrangements, including the scale of fund, specific investment methods and investment currency, are all "too early to be determined", he said. Tu said that a cooperation fund usually selects projects and makes investment decisions based on the common interests of all shareholders. "A legal framework and clear governance structure will be set at the initial stage. This method could also avoid investment destination countries imposing restrictions on any single fund member," he added. Chairman of US Joint Chiefs of Staff, General Joseph Dunford on Thursday told a Senate Armed Services Committee that Pakistan owes its "all weather friend" China at least USD 10 billion debt for the construction of the Gwadar port and other projects. "Saddled with predatory Chinese loans, Sri Lanka granted China a 99-year lease and 70 per cent stake in its deep-water (Hambantota) port," Dunford said. The Maldives owes China roughly USD 1.5 billion in debt - about 30 per cent of its GDP - for construction costs, he said. In Africa, Djibouti owes China over 80 per cent of its GDP and in 2017, the country became host to China's first overseas military base. "China is diligently building an international network of coercion through predatory economics to expand its sphere of influence," Gen Dunford said, adding that nations around the globe are discovering the hard way that China's economic "friendship" via BRI can come at "a steep cost". The US is now openly warning other countries to be cautious before getting involve in BRI projects, but governments from Kuala Lumpur to Islamabad are scaling back their commitment because of debt concerns. The main criticism stems from China doling out huge loans spanning to billions of US dollars to small countries for infrastructure development over and beyond their capacity to pay back. Chinese foreign minister, however, refuted the criticism saying that "plenty of facts are proof that the BRI is not a debt trap that some countries may fall into, but an economic pie that benefits local populations. It is not a geopolitical tool but a great opportunity for shared development." The latest manifestation of this was the establishment of the China-Japan Cooperation Fund, a bilateral fund, in October 2018. Tu said the global partners for the BRI Fund could be the China-Japan as well as China-France fund. The scale of China-Japan Cooperation Fund' is expected to be USD 1 billion. Other similar investment mechanisms, including the 1 billion euro (USD 1.13 billion) China-France fund, is under preparation, Tu said. "We are also considering transferring part of the bilateral funds into the Belt and Road fund," he said. The CIC is also a shareholder of the Silk Road Fund, which mainly provides investment and financing support for the BRI projects. CIC now holds a 15 per cent share in the Silk Road Fund, which has a total capital of USD 40 billion and 100 billion yuan (USD14.9 billion). The BRI cooperation fund will be different from the Silk Road Fund, Tu said. because the latter's sponsors are mainly domestic. The CIC which seeks maximum returns for its shareholders within an acceptable risk tolerance range achieved a record high of 17.59 per cent net return on overseas investment in 2017, the China Daily reported.